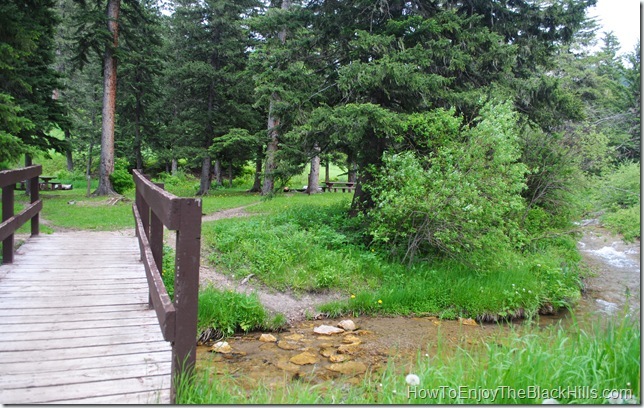 Are you looking for a secluded campground and picnic area in Spearfish Canyon? 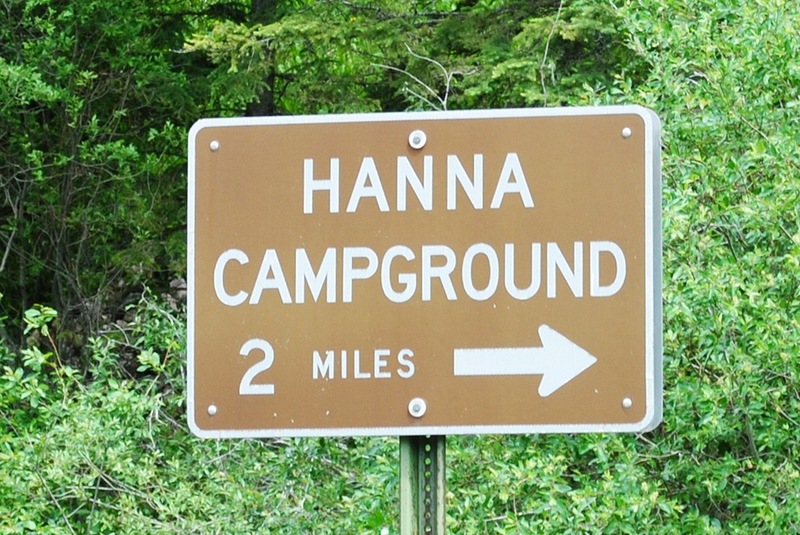 The Hanna Campground could be just what you’re looking for. 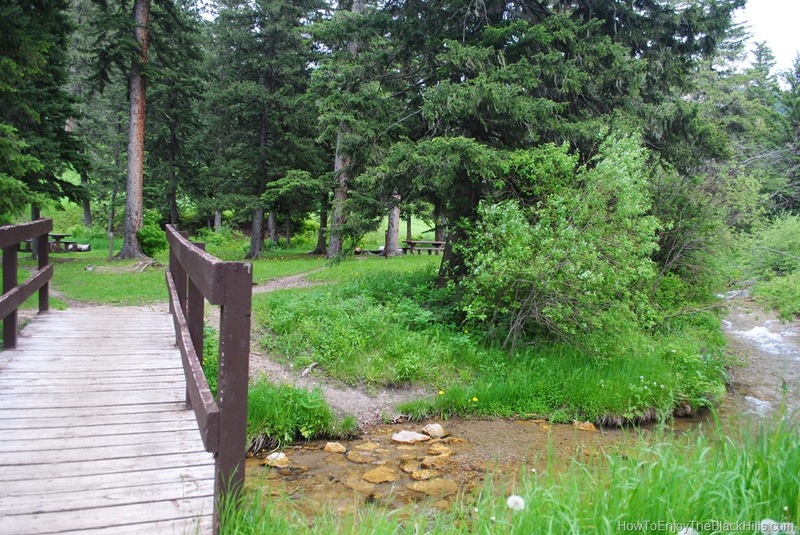 This campground is located right along Spearfish Creek in a mix of Spruce and meadows. Thirteen campsites are available. About half are regular sites that you can park your camper in and the other half are walk-in tent sites. Fresh water, and two vault toilets are onsite. The walk-in tent area is open year-round and the other sites are open from one week before Memorial Day to a week after Labor Day. There is a short nature trail at Hanna Campground too. From Lead. Travel south on Highway 85 about 8 miles. Watch for the white and brown sign for the campground. 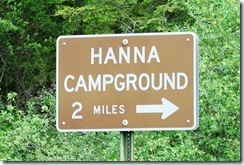 Turn left on to Hanna Road and you’ll find the campground after about 2 miles. From Spearfish. Travel down the Spearfish Canyon Scenic Byway to Cheyenne Crossing. Turn Left and watch for the Hanna Road. Then turn left again and the campground is two miles down the road. This is close to three Trailheads for the Mickelson Trail. The Sugarloaf, Englewood and Dumont are all just a few miles from here. And the Eagle Cliff Trail systems is about 5 more miles down Highway 85. If you are planning on exploring the area, I would encourage you to have a good map like Black Hills – Northeast, South Dakota Trails Illustrated Map #751 . This waterproof map has all the trailhead and campgrounds marked, enabling you to navigate the Black Hills back roads. In addition, consider a guide book like Exploring the Black Hills and Badlands: A Guide for Hikers, Cross-Country Skiers, & Mountain Bikers or Moon Mount Rushmore & the Black Hills: Including the Badlands (Moon Handbooks) both will take the guess work out of deciding what to do with your time in the Black Hills National Forest. Visit the Hanna Campground page at the BHNF website for more information. Hi! I’ve only been to this area once, and I camped at the campground in Spearfish near the hatchery. I thought it was a beautiful campground and planned on staying there until I just saw all your write-ups about other campgrounds in the area. Which would you recommend based on scenery alone?? It is hard to beat the location and scenery of Spearfish City Campground. However, my family and I love camping at Roubaix Lake. It is a bit off the main road and has a great lake. Sheridan Lake and Deerfield Lake also have great campgrounds. And, Custer State Park as some great campgrounds too. I can’t pick a favorite they are all great.